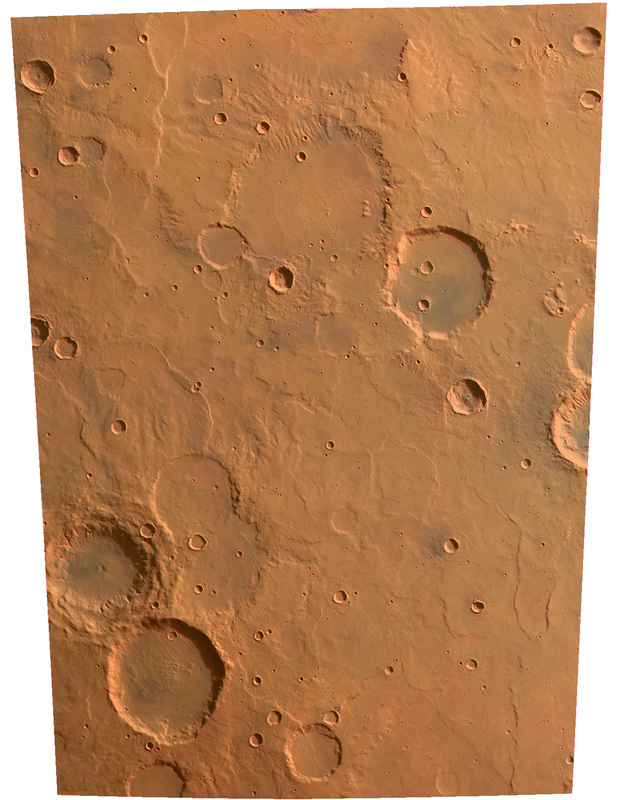 Noachis Terra is one of the extensive land masses (Terrae) on Mars, lying in the southern highlands roughly between the latitudes -20° and -80° and longitudes 30° west and 30° east (USGS MC-26 quadrangle). 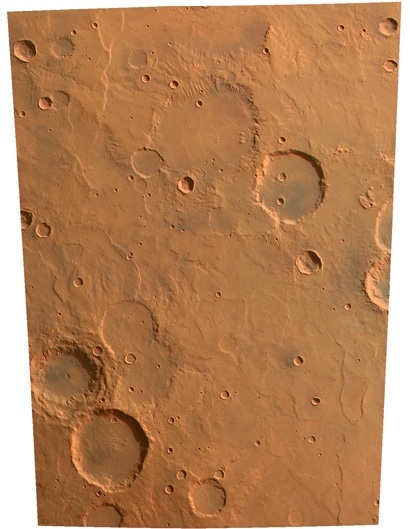 This image shows an area of about 91 000 square kilometres in the northern region of Noachis Terra. 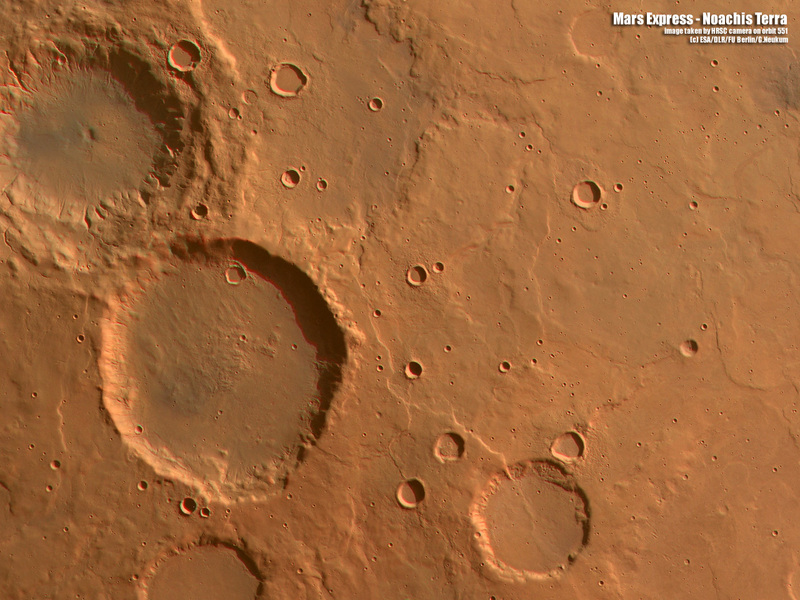 The larger crater in the bottom left corner of the image is roughly 52 km in diameter. North is up. *Note: some of the image versions provided are very large (5065 x 6513 pixels) and may take some time to open.